Made by Horowitz, Slava in Vienna, Vienna state, Austria, Europe, 1928. Compact folding umbrella with black silk cover and metal stick, handle, ribs and ferrule. Stick has a telescopic mechanism. The top and the end of the handle are metal disks. Designed by Slawa Horowitz in Vienna in 1928. Slawa Horowitz was born in Poland in the early 1900s and died in Australia in 1975. The umbrella was hand built by the designer using existing and modified umbrella parts purchased from manufacturers and other sources. After the design was granted a patent, the largest Austrian umbrella manufacture "Bruder Wuster" together with their German associates "Kortenbrach und Rach" manufactured the umbrella which was called 'Flirt'. In the first year of production sales reached 10,000. This number increased steadily each year as sales spread throughout Europe and was still being produced and marketed in the 1960s. The umbrella is one of four hand built prototypes that were used to market and patent the design. 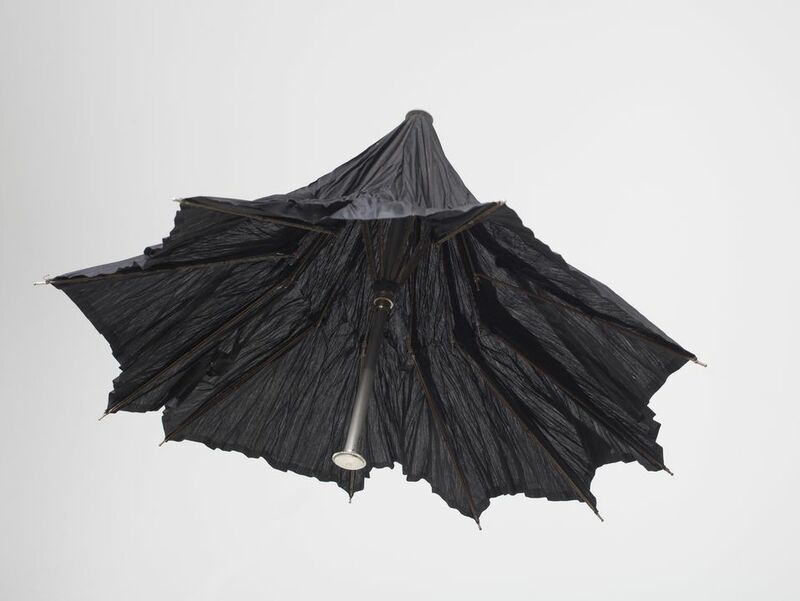 The umbrella was inherited by the designer's daughter Eva de Jong-Duldig.